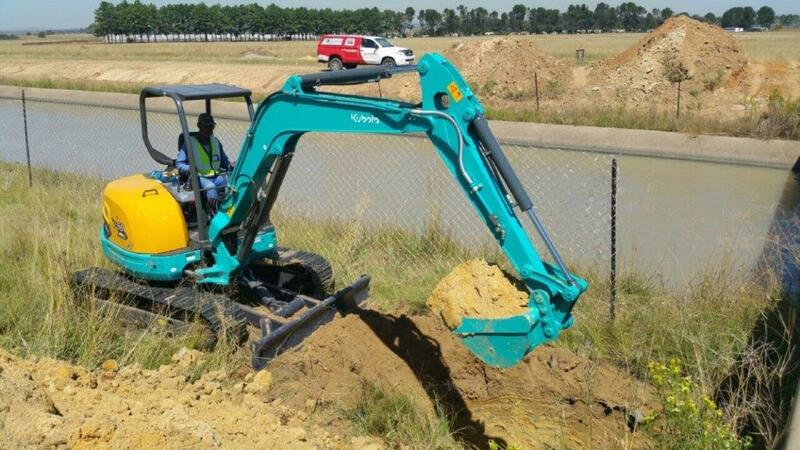 Civil engineering company, Pipe Jack Gauteng (PJG), which is an important role player in the Pipe Jacking and Horizontal Boring Industry in South Africa reports that its Kubota U50 compact excavator is performing according to expectations in the pipe cracking and pipe laying contract for Rand Water Board. “This particular job required a powerful excavator that was no more than 5-tons in weight. So, we bought the Kubota U-50 and its performance has been excellent,” says Morris Valente, CEO of Pipe Jack Gauteng. Valente emphasised the excellent service he has received from Kubota’s Charl Kemp. 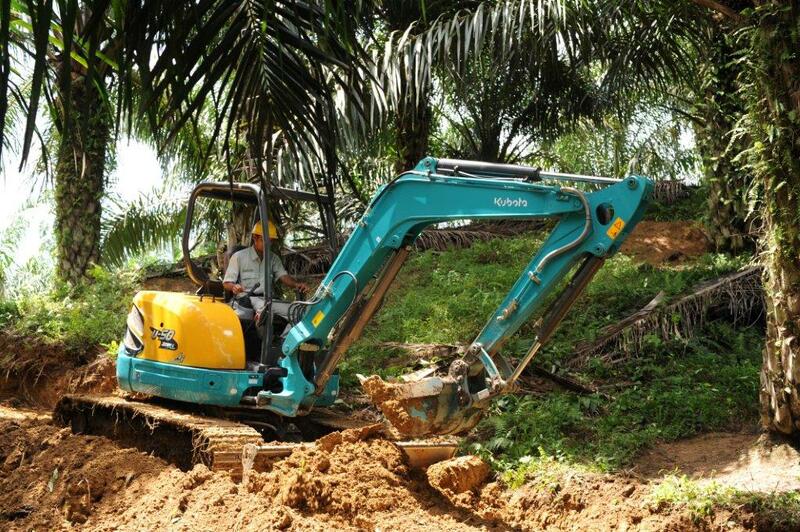 “Downtime is expensive in my game and Charl and Kubota have been a great help to us,” he says. 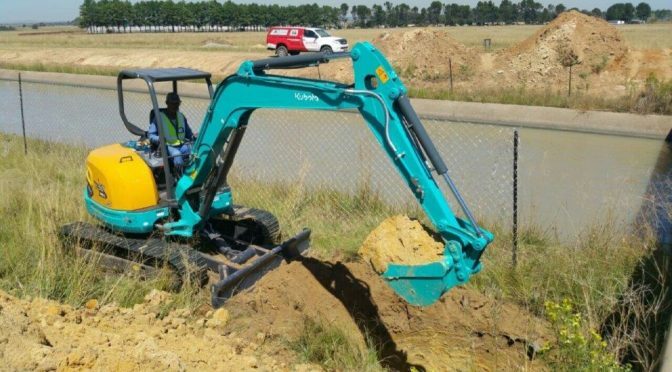 PJG, which undertakes a wide range of work in the industry including pipe jacking, pipelines, pipe cracking, demolition and more, says that its mission is to provide tunnelling and engineering solutions to its clients, whilst maintaining a lasting relationship and enabling sustainable growth. “We are committed to building a competitive organisation with a sound value system based on respect for all people both in our organisation and out,” concludes Valente. In its 40 years’ involvement in the mini-excavator industry Kubota has continuously set the standard with technological innovations that have rocked the industry. The integration of the zero boom and tail swing was one such innovation. Others, which also helped create the future of compact construction machinery, included the pioneering, advanced features of Auto Idle, which helps save up to 10% fuel; a digital LCD panel and the Kubota Intelligent Control System (KICS), which help reduce downtime and save on repair and technician costs; and Kubota’s revolutionary “three-pump” hydraulic system, which uses three independent pumps for boom, arm and swivel for more efficient bucket operation. 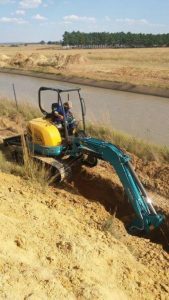 Kubota compact excavators are used the world over in a variety of construction applications including agricultural jobs, road-building, municipal works, pipe-laying, landscaping, water conservation projects and more. “Our Kubota compact excavators’ characteristics of being tough, reliable, efficient and easy to operate and service, enable them to work in the toughest conditions and take on any challenge,” says Tom Bloom SPE General Manager construction equipment division. This article was featured in the Hire SA – May 2017.